This article is geared at the folks in the field. The boots on the ground. Traffic control supervisors and technicians, DOT inspectors, and field engineers. The message I'm writing about today is a simple one: If you see something, say something. 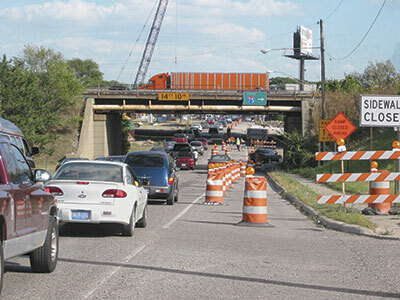 Smarter Work Zones are typically specified during the planning phase, be it by ADT, the number of lane closures, or the planners thinking that this project is a "perfect storm" of non-recurring congestion and potential backups. Smarter work zones can help in all those situations. So keep your eyes peeled for indications that your work zone should be a smarter work zone. Heres some things to look for. Are the workers complaining of speeding traffic through the work zone? You don't need the State Patrol out there to tell if cars are not complying with the work zone speed limit - just drive with the flow of traffic and you'll know if traffic is a risk to the men and women working out there. Everyone knows speed kills, especially in work zones. If you suspect there is rampant speeding through the work zone, says something. Speak up and be heard - you could save lives. "Your Speed Is" trailers are a great and effective use of ITS to curb non-compliance anywhere, but especially in work zones. If you are on the job and there are rear-end collisions due to the normal maintenance of traffic, say something. 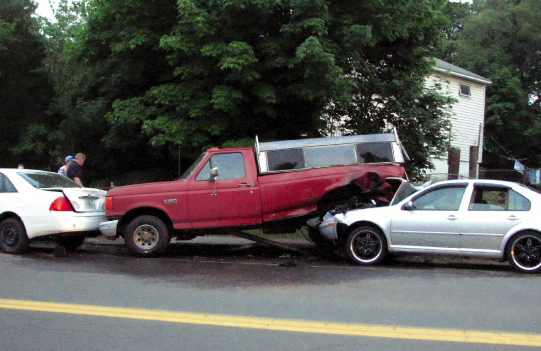 Rear-end collisions are typical at the merge point, and there is something you can do to save lives, and bumpers. A End of Queue Warning System (aka Prepare to Stop system) has been proven time and time again to reduce rear end collisions, which are the most deadly accident on our highways. If your work zone is experiencing any rear end collisions, suggest a Queue Warning System at the next meeting, or better yet, pick up the phone and call the project engineer right away. If your work zone has a high truck rate or is on a major commuter road, non-recurring congestion can be costly and dangerous to the motorists. If you see congestion occurring outside the normal hours typical for the area say something. A travel time system can allow people to make informed decisions about their route. If strategically placed, the system can act as an informal or formal alternate route system as well - getting people off the main line when traffic slows down below a threshold. This can save serious money for truck companies, and serious headaches for commuters. We've all seen it. "Lane Closed 3 Miles Ahead" and everyone begins to pile up into the open lane - leaving miles of un-utilized lane up to the merge point. Dynamic late merge systems were developed to combat this tendency. Dynamic late merge systems can also reduce road rage when folks take it upon themselves to "police" the open lane with their vehicle to ensure "compliance" with their skewed view of how traffic merging should work. This behavior is dangerous and stems from a lack of knowledge of traffic engineering principles. Dynamic late merges have been deployed in many states for nearly a decade and are very effective. 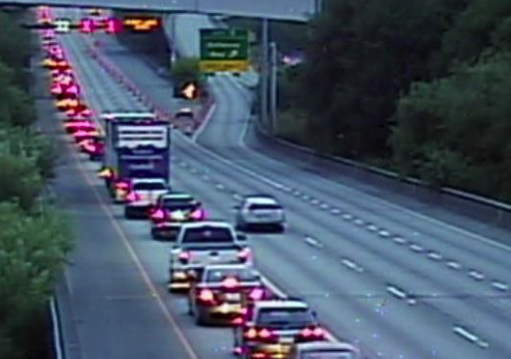 If you see motorists filing into a single lane in front of the lane closure, say something. A dynamic merge system would is a great fit to get folks to zipper merge and get on their way. If you've got skid marks on the pavement near your work zone, it could just be someone wasn't paying attention and slammed on their breaks - or even a deer in the roadway. 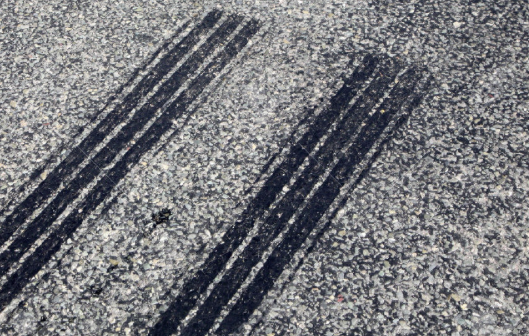 If these skid marks align to road geography, such as on the crest of a hill, or around a bend in the road approaching the taper, people could be having a line of sight issue. Traffic begins to backup up a hill or around a bend, and motorists going the speed limit come over that hill and have to slam on their brakes to avoid a rear end collision. If you see skid marks in the lead up to your work zone, say something. A Queue Warning System is the perfect solution to this problem. The smarter work zone knows theres traffic stopped long before any individual driver could possibly know, and it alerts them to that fact with attention grabbing messaging on a PCMS, or flashers with static "Prepare to Stop" messaging. This has been proven to reduce rear end collisions, which are the deadliest type of accident in and around work zones. So please, if you see something, say something. To the project manager, the project engineer, your boss, or to the group at a construction meeting. By being personally responsible, you can save money, time, and most importantly, the lives of workers and motorists.